Following the recent MHRA warning around the use of Simvastatin 40mg in conjunction with with other medicines. The medicines management team of NHS South of Tyne & Wear have spoken to the MHRA and as far as the MHRA are concerned this isn't an urgent action and can be left till the patients next review. The medicines management team have now published an alert and Pharmacies should make thems elves aware of the contents. GP's will be made aware of this via practice pharmacists and don't really need us ringing to change every patient asap. For further information about this please contact Anne-Marie Bailey (0191-529 7214) at medicines management. The PCT has had a few minor problems with pharmabase and payments. They would like pharmacists to know that their submitted information/forms needs to be entered before the 4th of the month otherwise the pharmacist will not get payment until the following month. Pharmabase runs the information early on the morning of the 5th of the month so that is why information needs to be uploaded by the 4th. Keep an eye on our flu menu above for the latest information about stock availability and support packs. And don't forget the resources section contains the various documentation needed as well as some marketing materials. Click Here to download a copy of the PCT Letter about ammending Core hours over the festive period. Please not the deadline is 26th September. During October, thousands of people across England are taking part in Stoptober - a new, exciting 28 day challenge to stop smoking. 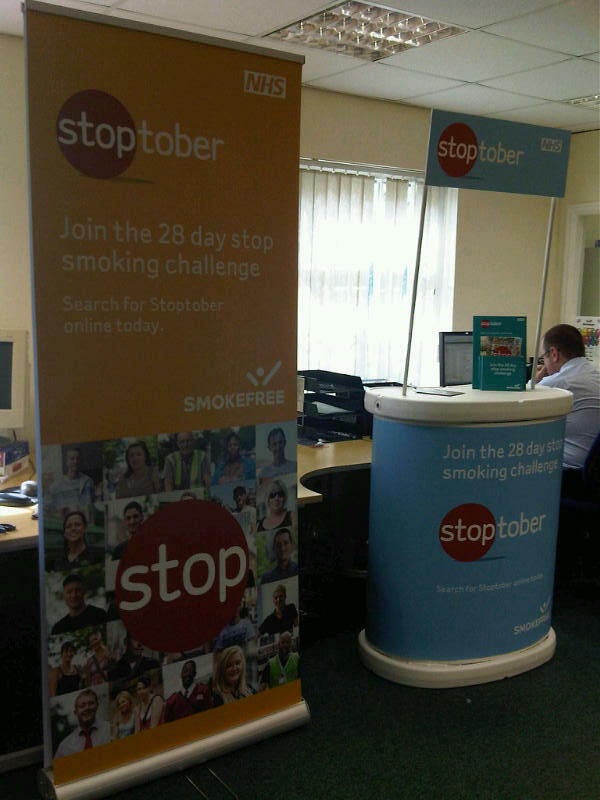 Pharmacies will be taking part and great places to help people to give up smoking and meet the 28 day challenge. Visit our Flu Resources page to download electronic versions of the of the PGD and SLA required for the NHS flu service. Keep an eye on this page as we all other useful resources to help you run the service on this page. NHS South of Tyne & Wear is offering Emergecncy Hormanal Contracpetion training for Pharmacies wishing to offer the NHS Service in their pharmacy. The training is open to pharmacists and pre-reg pharmacists. The training is on Thursday 9 October 2012 6:00pm Registration 7.00 pm start– 9:00 pm finish at MPH, Stonehills, Pelaw.